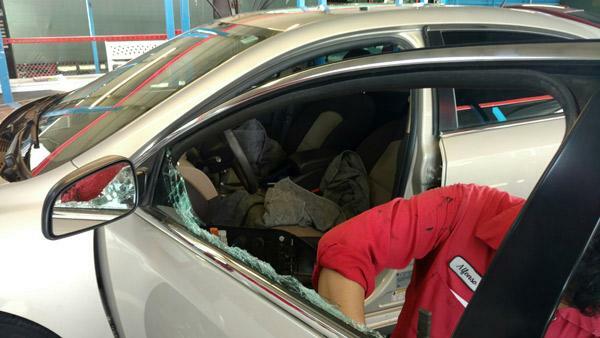 At California Auto glass repair in Las Vegas Summerlin, we provide great service offering quality, affordable prices, with skilled workmanship for your auto or truck glass or replacement for all makes and models of vehicles like cars and trucks. We replace Windshields side windows, door glass, vents, mirrors, back glass, door Motors, door Switches, door Regulators, leaks, moldings and mobile auto glass! We provide mobile service in Summerlin to the following zip codes: 89128, 89134, 89135, 89138, 89144 and specialize in windshield service, rock chip repair, cracks, power window repair, and much more! We are available 7 days a week, with over 20,000 new and used auto glass parts in inventory!